HAPPY HUMP DAY!!!! I hope everyone is waking up to a beautiful day. I know a lot of folks are having very cold days still so stay warm and inside as much as you can. Here in Arizona, it's been a little cool but nothing like everyone else is having. It's actually getting back up into the 70s during the day, so it's been nice! Anyways, I have a fun little card for you today. Everyone knows what February 6, 2011 is right?? WHAT?!?! YOU DON'T?!?! Well it's SUPERBOWL SUNDAY!!!!!!!! The 2nd day of most consumed food in the USA behind Thanksgiving! That little fact when I read it surprised me really. Guess I need to go back to the grocery store! Congratulations to all the Steelers fans out there...and the ahem... Packer fans! My team obviously didn't make it, but HOPEFULLY we'll be there next year! 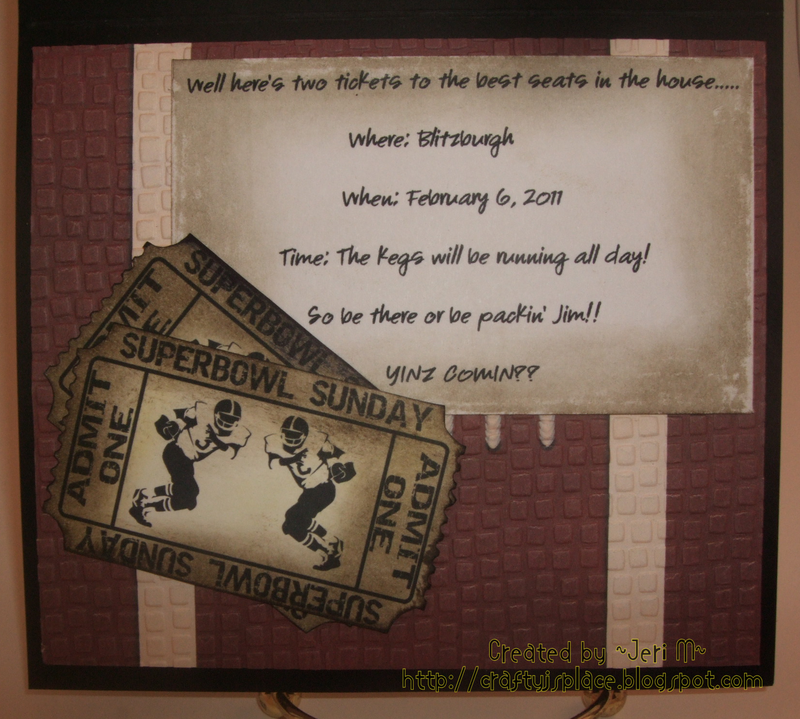 But since I couldn't make any cards or have a party for my team, I made a little Invite card for a friends brother that is a die hard Steelers fan. So hopefully he'll like it when he receives it!! 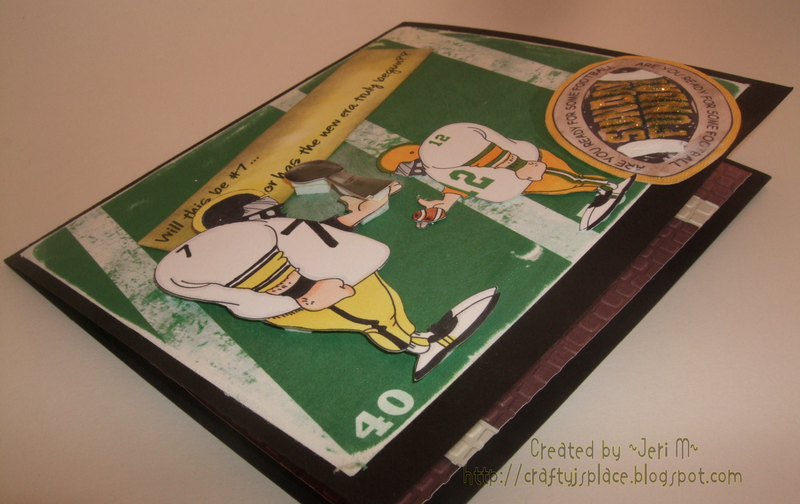 For this card I used a cute little collaboration set by Stitchy Stamps and Panda Bear Designs called Football Mini Kit. I did open it up in PSP and with the artists permission, and alter the number and helmet icon so that I could put the appropriate numbers on their jerseys. I don't usually use digital papers, but I'm finding myself liking them more and more. 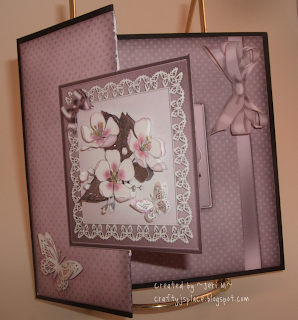 You have everything you need in this little set, from the digital stamps to your papers. So head on over and grab this little set so you can get your cards and favors ready for all those Superbowl Parties coming up!!! 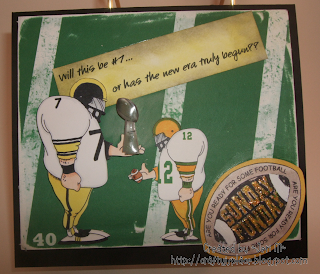 If you will be going to parties or having parties, be safe, smart and live to see the next Superbowl! And of course have fun!!! Happy Monday to everyone! Wait...is that even possible....a HAPPY Monday?? Hmm I'll have to think about it and let ya know on Tuesday. 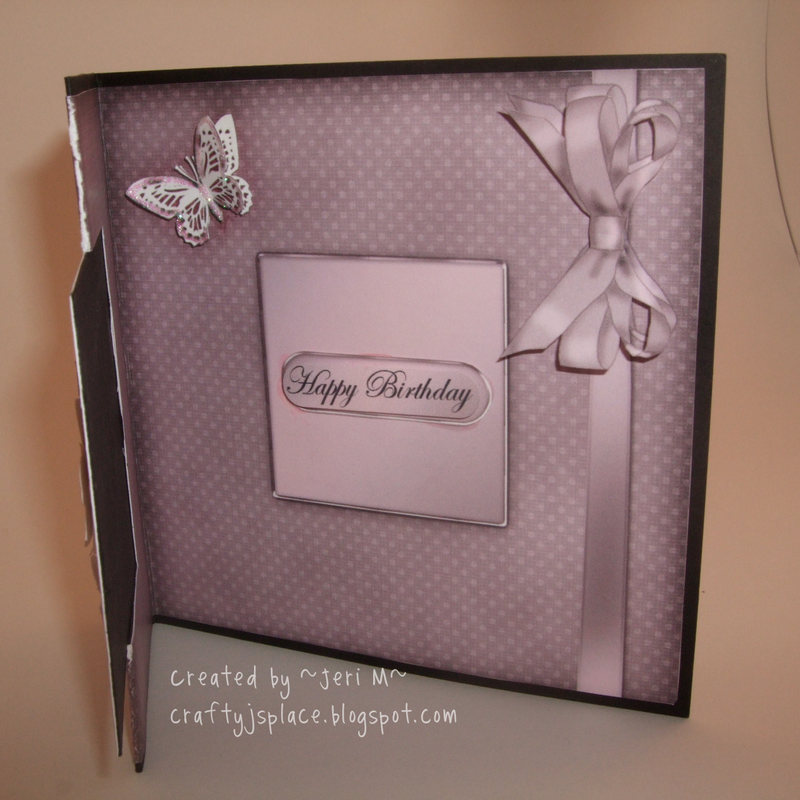 Anyways just a short posting today with a few birthday cards that I made for my sister and sister in law. It's very sad that I've been married to my husband for almost 20 yrs, and I really don't know anything about his brother's wife. With us in the military, I see them MAYBE once a year at the holidays and then nothing in between. So it was really hard to come up with something for her, not really knowing things she liked. 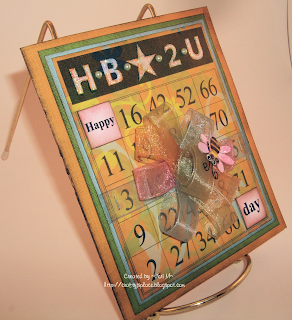 But I think the decoupaged card I finally settled on works, and hopefully she'll like it. So far so good on my resolution of sending out cards to everyone! Ok so this one was for my sister. 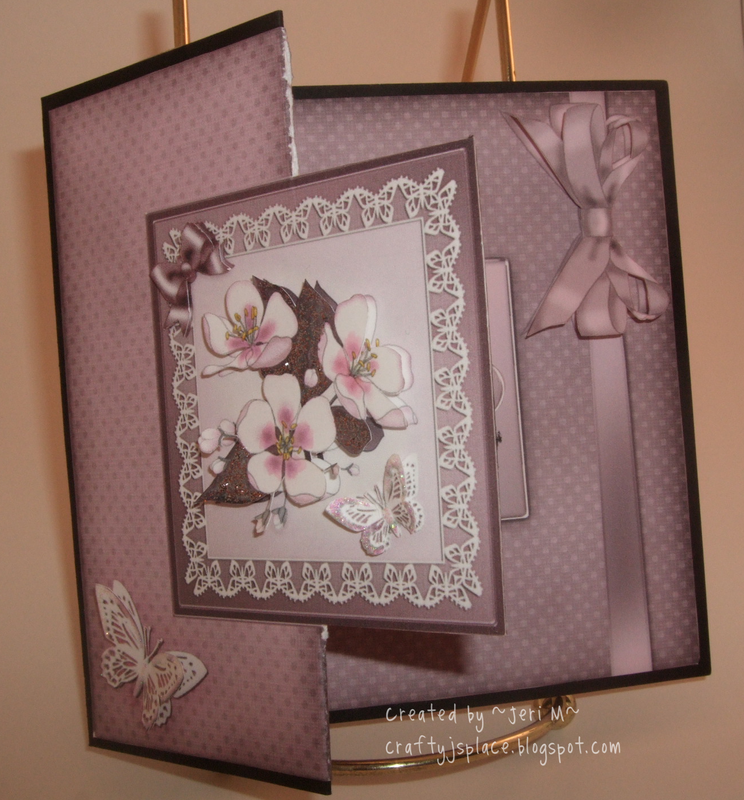 I was inspired by Holly and loved her sentiment that she used, so I knew it would make a cute card for my sister. More than not, my sister has a pretty good sense of humor, so hopefully she got a chuckle out of it.The image is from Squigglefly. Papers are from the DCWV Latte Stack. 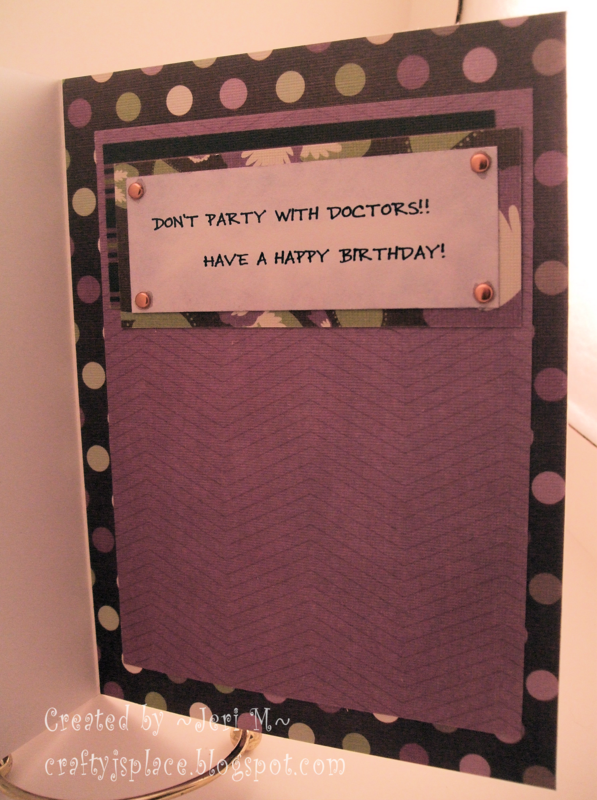 Her favorite color is Purple, so tried to make that the main color of the card. I liked the colors of it and though it was subtle and would fit any personality. Well I hope so anyways lol I printed it out a few times and pieced different areas. Some that were shown on the sheet, and other areas that I chose to do on my own. 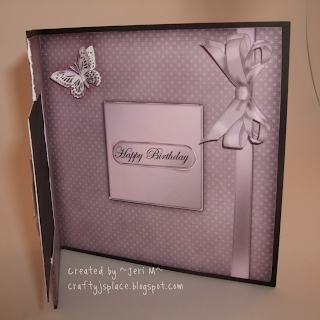 Highlighted some areas with Crystal Stickles and Tiara Glitz Stickles and put it on a black cardstock base. Thanks for looking and hope they inspire you to make something today! 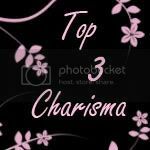 I was recently asked to be a Guest Designer at Frosted Designs Challenge Blog, and how could I say NO! 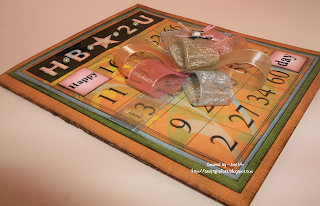 I got to work with a great image from Stitchy Stamps AND be a guest at Frosted Designs...and like that wasn't enough, I even got this cute little blinkie to put on my blog... now on to the challenge this week!! This week over at Frosted Designs, our challenge was to use Acrylic, Vellum, Acetate, or some sort of transparency on your project. I knew immediately what I wanted to make with Valentines around the corner. 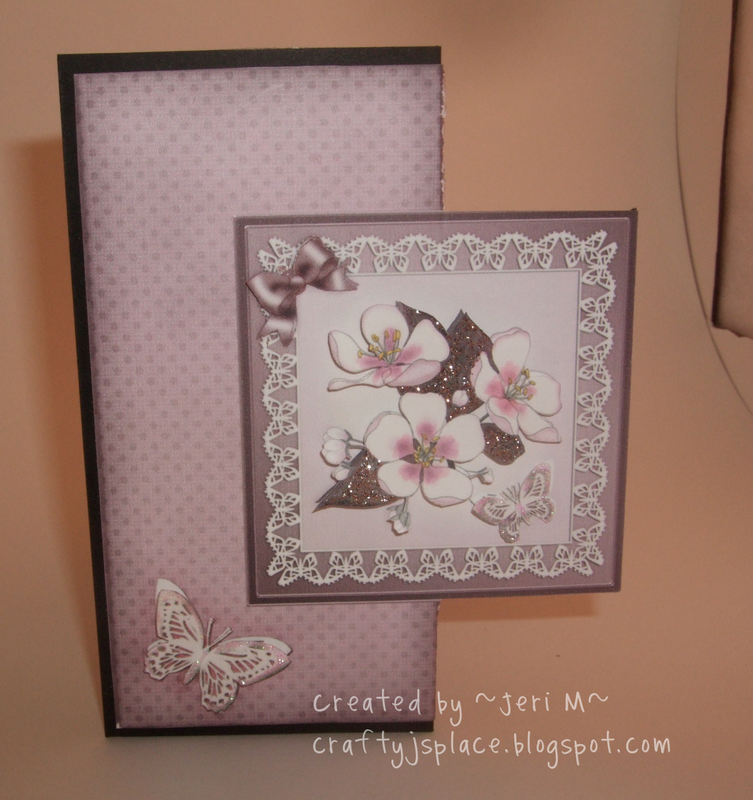 I chose to work with a cute little image from this weeks sponsor, Stitchy Stamps, called Puppy Love. I thought he/she was just the cutest, and what's more loveable than a puppy! 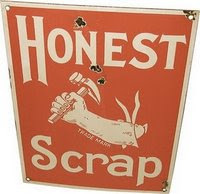 I used acetate, which in my world is just an old piece of transparency from an old package or box that I recycled. Why pay high prices when its right there in a lot of the things you buy. So I warn you now there's a lot of pictures! 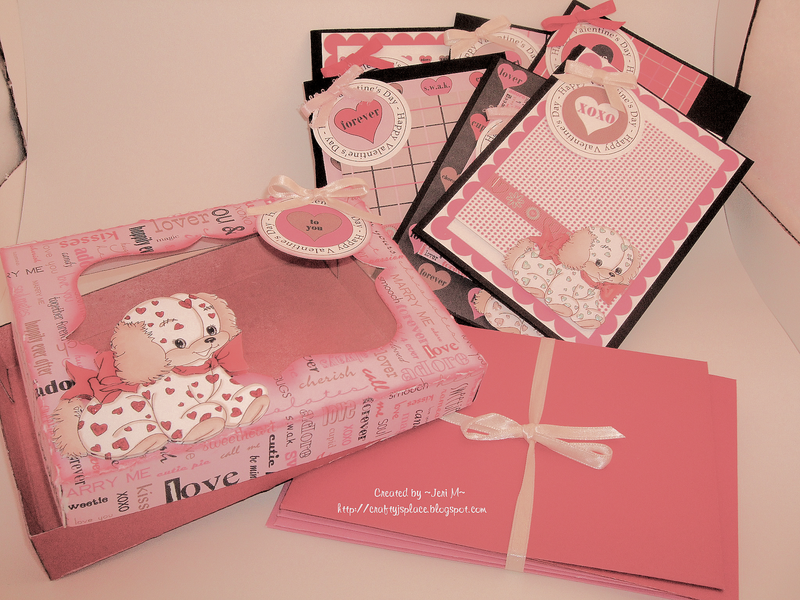 So I took my adorable puppy and decided to make a little box with card set. 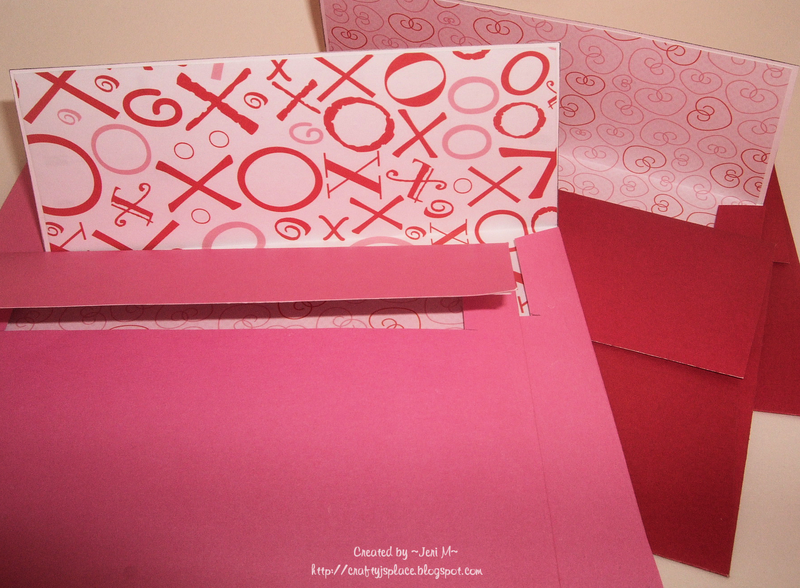 I used the Stationary Box with lid and Envelope/Liner cutting file from The Cutting Cafe and the Words of Love Colored Printable Stamp set to accomplish this idea of mine. I used a larger puppy on the lid of my box and then smaller puppies on my cards to keep with the focal point. I think it turned out rather cute and I hope you think so as well! So head on over to Frosted Designs and play along for a chance to win a Gift Certificate to Stitchy Bear Digital Stamps!!! Hmmm and now to figure out who to give it to...maybe a little blog candy to help celebrate my Guest DT spot?? 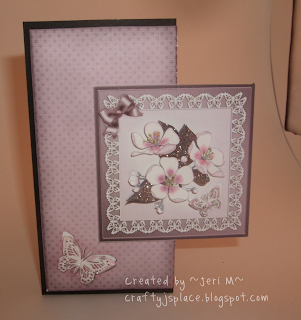 If anyone's interested in this posted project, please leave a comment below stating that you'd love to have this card set, and I'll do a drawing on Jan 27th, the end of this weeks challenge at Frosted Designs! Hey yall!!! Phew thank gosh it's Thursday! This year is already flying by, I mean we're almost done wih January! We'll be celebrating 2012 before we know it!! But that means I need to get realllllly moving on Birthday cards then! 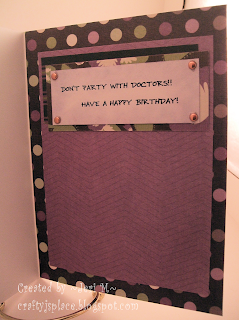 It's my goal this year to make and send out a birthday card to most of my family this year. I would love to send out to everyone (cousins, aunts, uncles, 2nd-3rd cousins and so forth), but geez I would never be doing anything else if I done that, and honestly I don't know everyones birthday...oops! Ahh well if it wasn't posted on Facebook, they wouldn't know mine either lol so we're all even! Anyways, on to my card this week! 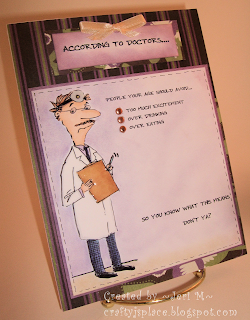 This card was made for my mother in law. I love the Bingo sets that Regina has at The Cutting Cafe, so for this card I chose to go with the Bingo Card Set Printable Stamp set. There are SOOOOO MANY pieces in this set, that you could make a card for any occassion! Hopefully she'll get what I was going for with the Happy 'Bee' Day, but if not, she'll think it says HAPPY DAY! 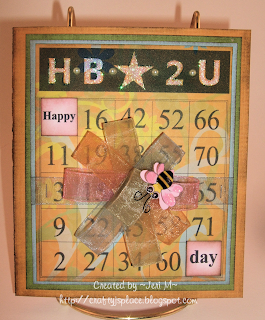 lol I used the bee from the Animal and Bug Mini Colored Circle Printable Stamp Set and cut it out to put on top of my ribbon flower, layering it twice to give it some depth. Used some black wire from my stash to make his antennas. Not real thrilled with the colors but it's her favorite colors and her card so what can I do..lol I probably would've threw this paper out since it came in one of my stacks but I think I'll put it in a special 'Mother In Law' drawer. I hope you enjoyed checking it out and as always thank you for visiting and taking time to leave me little comments! They're always fun to read and always appreciated!! 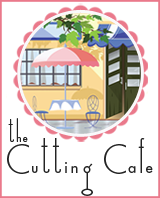 Now what are you headed for, head on over to The Cutting Cafe and check out all the inspiration that's posted there, along with all the wonderful stamp sets and cutting files and see what you can be inspired to make!! Hello everyone!! Yep I'm back! What can I say, when I see something that inspires me, I can't stop until I get it done, and that's exactly what happened here! Quite a few people played hands in inspiring this little project! Oh how I miss my kiddos being young, but even tweens would like this one. Heck I'm th..nevermind....and I would love to receive one lol Ok so I love following Lorri over at Confessions of a Stamping Addict and I love trying to see what I can translate over to The Cutting Cafe files when I find something that inspires me. And the other day I accomplished that goal!! Lorri posted the cutest Ipod project that she was inspired by from a magazine called Family Fun, but then I thought of the Conversations Candy Box at The Cutting Cafe....and VOILA!! I had to cut down the box a bit because of them making the SweetHearts boxes a little smaller this year, but that wasn't a problem at all. I then used the lil playlist template from the magazine mentioned above, being inspired by my cousin Jen and her love of the group 311, and changed the list to songs that she would like and has a Valentine feel. Instead of the peanut butter cups, I used these cute little heart shaped chocolates that I found last night while hunting for the SweetHearts. Such a fun and quick Valentine's gift. 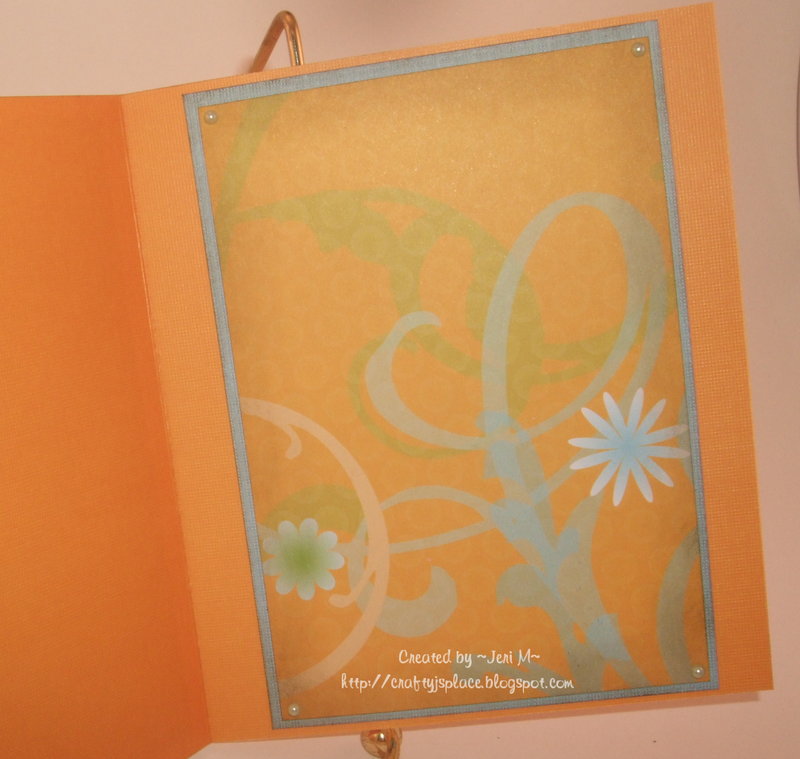 I also used the All Occasion Tag Set from The Cutting Cafe to give it more of a personal touch. I hope you like and it inspires you to try something new today!!! Thanks for looking! I was born with 3 kidneys and had two removed on my left side when I was 5 yrs old, leaving me one kidney on my right side. Carol at Chocolate, Crafts, and Bears, OH MY! 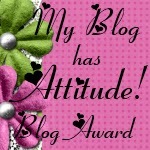 The last requirement is to post this award in your sidebar with a link to the Digi's with Attitude Challenge Blog. 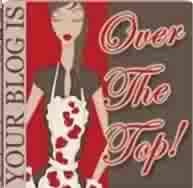 Thank you again Rhonda for choosing my blog!!! It's appreciated and Thanks to Digi's with Attitude for an awesome award! Happy New Years!!! Geez it's already Jan. 3rd and there's no telling how quickly the other 362 days will fly by! Every year it seems the days are going faster and faster. So be sure to enjoy every second of every day! I've been enjoying my day crafting! Regina over at The Cutting Cafe has been releasing some really awesome Valentine sets, so be sure to head over and check them all out! There's surely something there that will help you let all the special folks in your heart know how you feel about them!! I knew immediately which set I just had to work with, and that was the Fun with Valentine's Day--Printable Stamp Set and the It's All About Love--Printable Stamp Set!! These two sets are so fun and whimsical, or you could make them sweet and elegant, it's completely up to you! I chose to go the fun and whimsical route since my son decided he wanted to give it to his girlfriend. This little card was so fun to make and hope it inspires you to make something special for someone on Valentine's! !